I believe the Adidas/British team are going to be hard to beat, as one of the primary sponsors to the games I’m pretty sure the win was written into the sponsorship agreement and the incredibly low prices at the Adidas store will surely give them the competitive edge. Of course you can’t discount the Westfield/Australian team, the routing of the road race through the Westfield mall was a master stroke and should give the team some home ground advantage. I believe the team have been doing some high escalator training and this is sure to pay off in the later stages of the race. Unfortunately I can’t see McDonalds/USA team figuring in the final standings, despite bringing the largest McDonalds team/store to the games, the lack of a drive through service is really going to slow the team down through the feed zone. As for the Omega/Swiss team, I believe they will get their timing all wrong and miss the critical breaks. The attacks from the Samsung/Korean team are largely going to be negated by Apple however this is somewhat controversial as Apple are not an official sponsor of the games and this will be seen as ambush (marketing) attack. While Panasonic/Japanese team are not in medal contention, they will look great on the new Panasonic VIErA TVs which have been released just in time for the games. And the Dow team, despite investing heavily in the games will come undone by the disastrous pre season training camp they had in Bhopal. 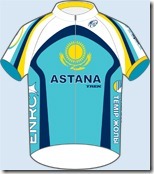 A collection of the Pro Tour team jerseys from 2006 onwards. Leaving only 9 teams which can show a direct lineage to the inception of the Pro Tour in 2006. Based on my hugely popular UCI Pro Tour Stats post I have now turned the data into an interactive set of graphs using some really cool software called Tableau. 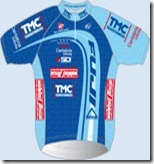 Once again this data was taken from the publically available UCI archives. The only thing I have done is to represent the raw point score as percentage of the yearly total to even out the differences between the total points scored each year. Select and highlight individual countries. Use the slider bar to select a specific year. Move the mouse over each data point reveal all the data for each point. This is a comparison of how many riders each country has and how many points they have scored, the size of the circle represents the country’s population. So countries with a small circle above the trend line are considered to be the high performing countries. This is a comparison of how many riders each country has compared to its population, the size of the circle represents how many points the country has scored. So countries with a large circle below the trend line are considered to be the high performing countries. The next two are more just to show the features of the Tableau software which I thought looked interesting. 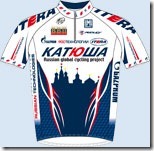 Geo location of the riders. This shows the data overlaid on a world map, showing where the riders come, the size of the circle represents how many riders come from the country. Remember you can use the magnifying tools to zoom in over Europe. Geo location of points scored. Similar to the previous one, this shows which country has scored points and how many. I had this come across my desk the other day which I thought was of interest. 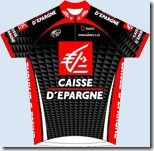 It is a complete list of Australians who have competed in the Tour de France since 1914. 1914 Duncan "Don" Kirkham Phebus-Dunlop 17th 145 54 at 11h 53′ 39"
1914 Ivor "Iddo" / "Snowy" Munro Phebus-Dunlop 20th 145 54 at 12h 34′ 57"
1928 Hubert Opperman Ravat-Wonder-Dunlop 18th 162 41 at 8h 34′ 35" Ravat-Wonder-Dunlop was an Aus/NZ team raised by the Melbourne Herald. Plan to include experienced europeans fell through. 1928 Perry Osborne Ravat-Wonder-Dunlop 38th 162 41 at 22h 01′ 49"
1931 Hubert Opperman Australia-Switzerland 12th 81 35 at 1h 36′ 43"
1931 Richard-William Lamb Australia-Switzerland 35th 81 35 at 6h 27′ 06"
1955 Russell Mockridge Internations 64th 130 69 at 4h 14′ 46"
1974 Don Allan Frisol-Flair Plastics 103rd 130 105 at 3h 16′ 53"
1975 Don Allan Frisol-G.B.C. 85th 140 86 at 3h 25′ 38"
1982 Phil Anderson Peugeot-Shell-Michelin 5th 170 125 at 12′ 16" 9 days in yellow, winner White Jersey, won stage 2, 3rd in points comp. 1983 Phil Anderson Peugeot-Shell-Michelin 9th 140 88 at 16′ 56"
1984 Phil Anderson Panasonic-Raleigh 10th 170 124 at 29′ 16"
1984 Alan Peiper Peugeot-Shell-Michelin 95th 170 124 at 2h 31′ 28"
1985 Phil Anderson Panasonic-Raleigh 5th 180 144 at 7′ 44"
1985 Alan Peiper Peugeot-Shell-Michelin 86th 180 144 at 1h 56′ 54"
1986 Phil Anderson Panasonic 39th 210 132 at 1h 19′ 41"
1987 Phil Anderson Panasonic-Isostar 27th 207 135 at 1h 20′ 43"
1988 Michael Wilson Weinmann-La Suisse-SMM 50th 198 151 at 1h 09′ 31"
1989 Phil Anderson TVM-Ragno 38th 198 138 at 1h 11′ 38"
1989 Michael Wilson Helvetia-La Suisse 69th 198 138 at 1h 44′ 05"
1989 Stephen Hodge Caja Rural-Paternina 83rd 198 138 at 1h 53′ 35"
1990 Phil Anderson TVM 71st 198 156 at 1h 30′ 01"
1990 Stephen Hodge O.N.C.E. 34th 198 156 at 44′ 22"
1991 Stephen Hodge O.N.C.E. 67th 198 158 at 1h 32′ 52"
1992 Phil Anderson Motorola 81st 198 130 at 2h 23′ 30"
1992 Alan Peiper Tulip Computers 126th 198 130 at 3h 40′ 21"
1992 Stephen Hodge O.N.C.E. 93rd 198 130 at 2h 45′ 55"
1992 Neil Stephens O.N.C.E. 74th 198 130 at 2h 15′ 42"
1993 Phil Anderson Motorola 84th 180 136 at 2h 10′ 45"
1994 Phil Anderson Motorola 69th 189 117 at 2h 01′ 13"
1994 Stephen Hodge Festina-Andorra 83rd 189 117 at 2h 23′ 50"
1994 Neil Stephens O.N.C.E. 52nd 189 117 at 1h 47′ 59"
1995 Stephen Hodge Festina 64th 189 115 at 2h 16′ 01"
1995 Neil Stephens O.N.C.E. 60th 189 115 at 2h 28′ 17"
1996 Neil Stephens O.N.C.E. 49th 198 129 at 1h 42′ 13"
1996 Scott Sunderland Lotto-Isoglass 101st 198 129 at 2h 32′ 54"
1996 Patrick Jonker O.N.C.E. 12th 198 129 at 18′ 58"
1997 Patrick Jonker Rabobank 62nd 198 139 at 2h 33′ 38"
1997 Stuart O’Grady Gan 109th 198 139 at 3h 35′ 56"
1997 Henk Vogels Gan 99th 198 139 at 3h 26′ 46"
1997 Robbie McEwen Rabobank 117th 198 139 at 3h 45′ 47"
1998 Patrick Jonker Rabobank 34th 189 96 at 1h 16′ 49"
1998 Stuart O’Grady Gan 54th 189 96 at 1h 46′ 04" Won stage 14, 3 days in yellow, 2nd in points comp. 1998 Robbie McEwen Rabobank 63rd 189 96 at 1h 57′ 30"
1999 Patrick Jonker Rabobank 97th 180 141 at 2h 32′ 20"
1999 Stuart O’Grady Credit Agricole 94th 180 141 at 2h 30′ 07" 2nd in points comp. 1999 Henk Vogels Credit Agricole 121st 180 141 at 2h 49′ 17"
2000 Robbie McEwen Farm Frites 113th 180 128 at 3h 04′ 28" 2nd in points comp. 2001 Bradley McGee Francaise Des Jeux 83rd 189 144 at 2h 17′ 54"
2002 Baden Cooke fdjeux.com 127th 189 153 at 3h 00′ 01"
2003 Stuart O’Grady Credit Agricole 90th 198 147 at 2h 41′ 24"
2003 Robbie McEwen Lotto-Domo 143rd 198 147 at 4h 13′ 28" 2nd in points comp. 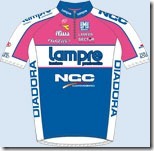 2003 Michael Rogers Quick Step-Davitamon 42nd 198 147 at 1h 37′ 28"
2004 Scott Sunderland Alessio-Bianchi 96th 188 147 at 2h 35′ 20"
2004 Baden Cooke fdjeux.com 139th 188 147 at 3h 15′ 45"
2004 Matt Wilson fdjeux.com 144th 188 147 at 3h 36′ 31"
2004 Michael Rogers Quick Step-Davitamon 22nd 188 147 at 41′ 39"
2004 Allan Davis Liberty Seguros 98th 188 147 at 2h 36′ 16"
2005 Stuart O’Grady Cofidis 77th 189 155 at 2h 27′ 19" 2nd in points comp. 2005 Bradley McGee Francaise Des Jeux 105th 189 155 at 2h 55′ 59"
2005 Baden Cooke Francaise Des Jeux 142nd 189 155 at 3h 47′ 17"
2005 Michael Rogers Quick Step-Innergetic 41st 189 155 at 1h 24′ 32"
2005 Allan Davis Liberty Seguros-Wurth Team 84th 189 155 at 2h 34′ 40"
2005 Luke Roberts Team CSC 102nd 189 155 at 2h 54′ 12"
2005 Cadel Evans Davitamon-Lotto 8th 189 155 at 11′ 55"
2005 Matthew White Cofidis 123rd 189 155 at 3h 23′ 41"
2005 Simon Gerrans Ag2r Prevoyance 126th 189 155 at 3h 27′ 03"
2006 Stuart O’Grady Team CSC 90th 176 138 at 2h 54′ 28"
2006 Michael Rogers T-Mobile Team 9th 176 138 at 14′ 10"
2006 Cadel Evans Davitamon-Lotto 4th 176 138 at 4′ 11"
2006 Simon Gerrans Ag2r Prevoyance 78th 176 138 at 2h 45′ 36"
2007 Cadel Evans Predictor-Lotto 2nd 189 141 at 0′ 23"
2007 Simon Gerrans Ag2r Prevoyance 94th 189 141 at 3h 09′ 19"
2007 Heinrich Haussler Gerolsteiner 129th 189 141 at 3h 32′ 30"
2008 Stuart O’Grady Team CSC-Saxo Bank 109th 180 145 at 3h 07′ 46"
2008 Robbie McEwen Silence-Lotto 122nd 180 145 at 3h 22′ 36"
2008 Heinrich Haussler Gerolsteiner 126th 180 145 at 3h 25′ 34"
2008 Brett Lancaster Team Milram 129th 180 145 at 3h 27′ 29"
2008 Adam Hansen Team Columbia 108th 180 145 at 3h 04′ 53"
2008 Trent Lowe Garmni Chipotle 77th 180 145 at 2h 13′ 41"
2009 Stuart O’Grady Team Saxo Bank 124th 180 156 at 3h 08′ 39"
2009 Michael Rogers Team Columbia-HTC 103rd 180 156 at 2h 42 57"
2009 Cadel Evans Silence-Lotto 30th 180 156 at 45′ 24"
2009 Brett Lancaster Cervelo Test Team 127th 180 156 at 3h 15′ 33"
2009 Mark Renshaw Team Columbia-HTC 149th 180 156 at 3h 46′ 20"
2009 Matthew Lloyd Silence-Lotto 46th 180 156 at 1h 09′ 05"
2010 Stuart O’Grady Team Saxo Bank 149th 198 170 at 3h 42′ 39"
2010 Robbie McEwen Katyusha 165th 198 170 at 4h 08′ 28"
2010 Michael Rogers Team Columbia-HTC 37th 198 170 at 1h 10′ 11"
2010 Luke Roberts Team Milram 103rd 198 170 at 3h 04′ 07"
2010 Brett Lancaster Cervelo Test Team 159th 198 170 at 3h 57′ 00"
2010 Matthew Lloyd Omega Pharma – Lotto 47th 198 170 at 1h 30′ 02"
2010 Wesley Sulzberger Francaise Des Jeux 152nd 198 170 at 3h 46′ 59"
2011 Stuart O’Grady Team Leopard – Trek 78th 198 167 at 2h 17′ 58"
2011 Simon Gerrans Team Sky 96th 198 167 at 2h 37′ 25"
2011 Mark Renshaw HTC-Highroad 163rd 198 167 at 3h 44′ 00"
2011 Richie Porte Saxo Bank-Sungard 72nd 198 167 at 2h 09′ 24"
2011 Matthew Goss HTC-Highroad 142nd 198 167 at 3h 22′ 32"
This article mainly focuses on what to carry for a long day in the saddle. 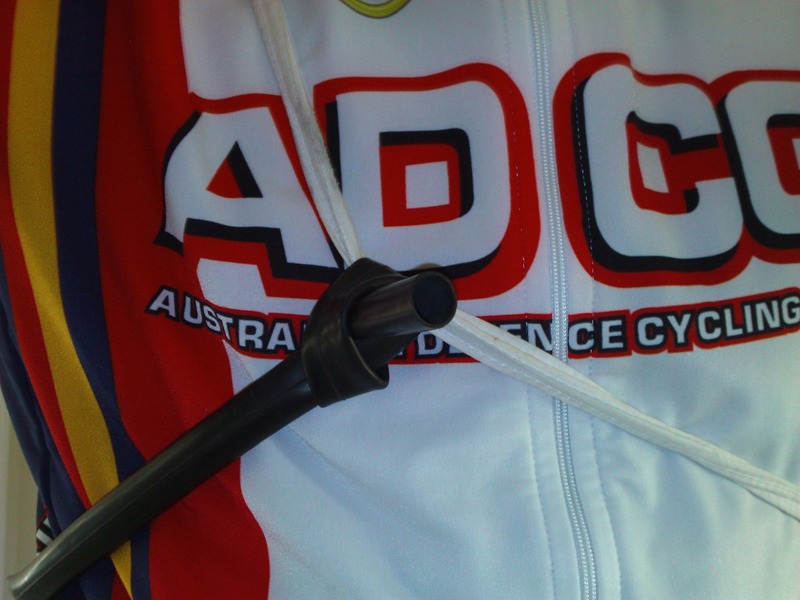 We’ll assume you’ve done your training, your bike is ready and you’ve done suitable carbo loading the night before. Firstly I’ll say there are plenty of ways to prepare but this is just from my experience having done the 165km, the 207km event and this year I’ll be doing the 250km. For starters, don’t over dress, it might be cold in the morning but the last thing you want is to be carrying an extra long sleeve jersey for a hundred kilometres. 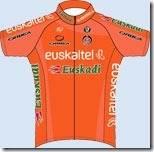 Better to go with a gillet and arm warmers. 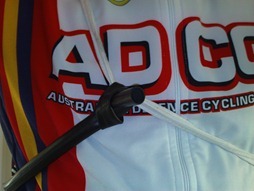 Arm warmers can be tucked away in a pocket and you can leave the gillet on, unzipped. So what will I be carrying? Sunscreen – Obvious I know, but it is amazing how many people forget it and on a sunny day, 8 to 10 hours in the sun is a long time and it won’t be your muscles that are the only sore thing at the end of the day if you forget it. Also from past experience it doubles as a chain lube in an emergency. CO2 Cartridges – This is a bit of an optional extra but if you are stickler for riding at the correct pressure, this is going to be the easiest way to get your tyres back up to pressure after a puncture without carrying a floor pump. 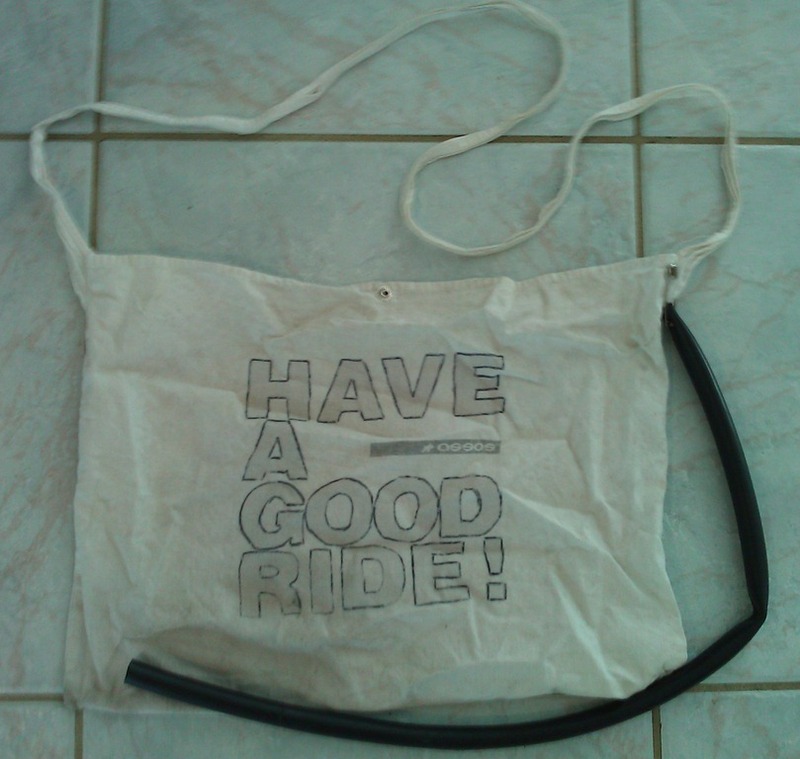 Pump – Should be a standard item but I have seen people, especially on the shorter rides leave without one. Or new for 2012, you can combine the two, Topeak have a released a pump called a called a two timer, which combines a CO2 dispenser and a pump. Two Tubes – Never hurts to have an extra spare, just make sure you get the right valve type and valve length. If you are using deep rim wheels it might pay to carry a valve extender, just in case you need to borrow a tube from a fellow rider. 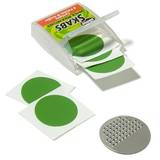 Adhesive tube repair patches – These are a great backup to carry if you are having a really bad day with punctures. They can also to used to patch a tyre, in case you are unfortunate enough to slash a tyre. 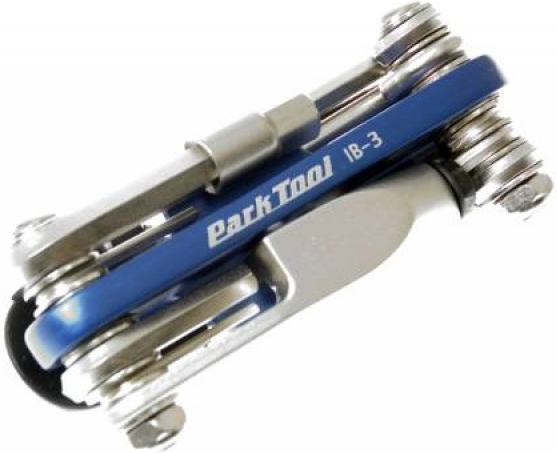 Multi-tool with chain breaker– I carry a Park Tool IB-3, I carried it for three years without ever using it, but the day I snapped my chain 50km from home I was pretty happy I had it. 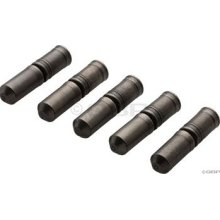 Also make sure it has 4 and 5 mm Hex (Allen) key, as these are the most common bolts on your bike. Spare chain pin or a Missing link – While the prospect of breaking a chain is remote, if you do it is a bit of a game stopper. 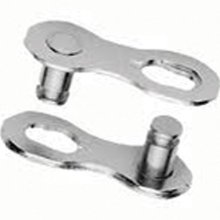 Spare chain pins or a missing link take up very little space so it doesn’t hurt to carry them. 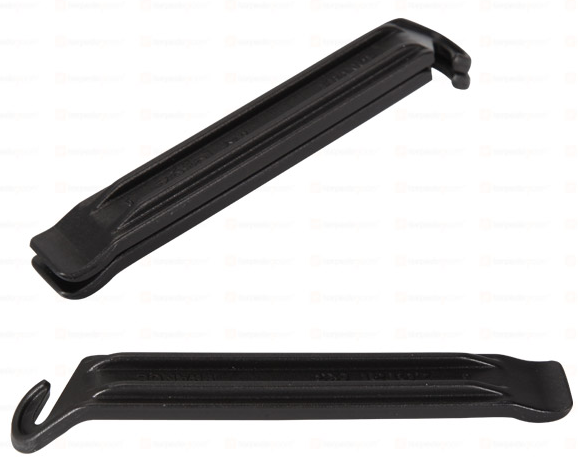 Tyre levers – Another obvious one, but just covering all bases here. 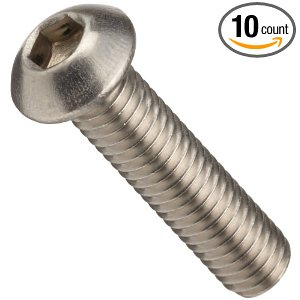 M4 & M5 Hex (Allen) bolts – These are the most common bolts on your bike and can be really useful if you lose a bolt on your water bottle cage during the ride. Once again, they are very light and small so it doesn’t hurt to have a couple stashed away for emergencies. Small bottle of chain lube – Just in case you get caught in the rain for an extended period of time and the lube gets washed away. Being soaked through is bad enough without having to listen to your chain squeaking or grinding away. Finish Line make a great small 2oz bottle, which can be easily stowed away without taking up to much space. Mussette & Saddle Bag – My personal preference is to carry my food in a mussette, spares and tools go in the saddle bag. 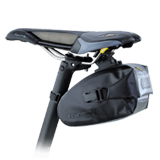 A medium size saddle bag will easily take all the kit listed above. I like using a mussette because it is light, as the day wears on and you have eaten your food you can just tuck the mussette in your back pocket. Backpacks weigh more and tend to leave you sweaty. With the mussette I’ve made slight modification which ensures the it will stay firmly on your back without swinging around to the front. Simply get a length of old bike tube and pin it to the corner of mussette. Then the other end ties around the front to keep it secure. 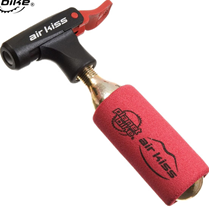 MP3 Player – I know there are safety issues using these on a bike but 8 to 10 hours on the bike can be boring and some motivational tunes might help you get through the day. While most supported rides such as Fitz’s Challenge supply food, don’t count on it. Firstly you might not like it, I’ve never been a fan of fruit cake and if you are a slower rider, chances are they might have run out by the time you get to the checkpoint. Better to keep your destiny in your own hands and carry some food. As to what to carry, well that is a bit of a personal choice but just make sure it is easy to eat and high in energy. Lollies – I know some people are a fan of lollies like snakes, personally I find they give you a bit of sugar rush and then you crash from the high. Power Bars I know they are favourite but I find them expensive and not really satisfying. Around lunchtime you are going to want something substantial and energy bars are not going to cut it. Sandwiches – I have a preference for simple sandwiches made with low GI bread and chocolate spread. This gives me short term energy from the chocolate spread and sustained energy from the bread. I carry a bag of sandwiches cut in half, easy to access and eat while riding. Fruit – Dried figs are an excellent source of sugars and potassium, good for stopping cramps. Bananas also have good levels of potassium but they are bulky and bruise easily, there is nothing worse than a squashed banana during the ride. Electrolyte tablets – These are the best way to carry additional electrolytes for when you refill your drink bottles. Just being able to pop a tablet or two into your water bottle is so much easier than trying to measure out powder from a bag. One tube makes up 15 litres. A tip I would suggest is to buy caffeinated and regular ones so you can carry a mixture on the day. Caffeinated ones are good to give you a lift, but too much can give you the jitters and excessive caffeine consumption (more than 500 –600 milligrams) can have diuretic effect leading to dehydration. So carry a combination and alternate your intake. 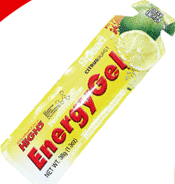 Gels – I’m a big fan of gels for electrolytes and sugars, easy to carry and consume on the bike. 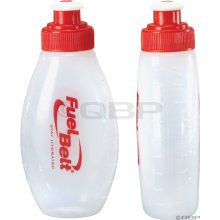 One tip for gels is to get a couple of small water bottles like the one below and tip your gels into these. Easier to consume, less rubbish and no leaking gel wrappers in your pockets later. And for Fitz’s my secret tip is a meat pie and coke from the Tharwa General store. Sure it breaks all the rules but in terms of comfort food, it hits the spot when you’ve done about 120km. Money – Never forget, if all else fails carry bit of cash. For food, water, coffee or for any other emergency that might arise. I’ve even been known to use a $5 note in an emergency to repair a slashed tyre. Anyway that is what I’ll be carrying, if you have any other useful tips please leave a comment. Inspired by Chris from the Vikings Cycling club, “The little Engine that could” and possibly the one of the greatest stages of the 2011 Tour de France, stage 19. I present to you, Cadel, the little red engine. A little red engine had a long train of riders to pull. He went along very well till he came to a steep Col. But then, no matter how hard he tried, he could not drop the long train of riders. He pulled and he pulled. He puffed and he puffed and started off again. Choo! Choo! But no! none of riders would pull a turn up the Col.
At last he left the peloton and started up the Col alone. Do you think he had stopped working? No, indeed! But nobody would help. “Surely I can find someone to help me,” he thought. Over the Col and up the track went the little red engine. Choo, choo! Choo, choo! Choo, choo! Choo! The little red engine was sorry, but he went on, Choo, choo! Choo, choo! Choo, choo! Choo, choo! Soon he came to a big yellow engine standing on a side track. He was puffing and puffing, as if he were tired. “I have just come in from a long, long run over the alps. Don’t you see how tired I am? Can’t you get some other engine to help you this time? “I’ll try,” said the little red engine, and off he went. Choo, choo! Choo, choo! Choo, choo! So the little red engines started back to where the train of riders had been standing. Both little red engines went to the head of the train, one behind the other. Puff, puff! Chug, choo! Off they started! Now they were on the plain again; and the little steam engine could pull the train himself. So he thanked the little Burghardt engine who had come to help him, and said good-by. And on to Alpe d’Huez he steamed. PS I know it is not factually correct, but it was surprising how well the story fitted by only substituting a few words. 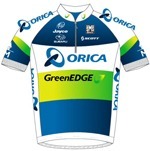 Ok guys turn away now, nothing to see here, but for the girls, this might be of interest and just in time for the Tour de France. Recently my wife started creating a range of bracelets and I thought these might be of interest for the cycling types out there. All bracelets are lovingly hand made. If you want more information, head over to her site. And for the guys, she’ll have a range of cycling cuff links soon. 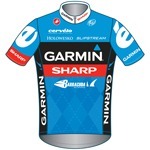 Recently I found that after about 12 months of use my Garmin Edge 500 became sluggish and slow to respond. I would press the start button and it would take 2 -3 seconds to respond or it would only start recording data after about 500 metres. If this sounds familiar try this. Simply back up all the .fit files from your unit to your computer or delete them. Immediately the unit’s performance should return to normal and if you back the files up to your computer you can still access the data if you need to. For reference the .fit files are located in “\Garmin\Activities” of your unit. At the time I had some 250 files taking up around 20MB of the 50MB available on the unit. In the end I’m not sure if it was just one corrupted file or just too many files that caused the problem but by removing them from the system it certainly fixed the problem. 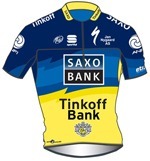 In my continuing fascination with the Pro Tour it’s time to look at some of the other kit on the bikes and that is the computers each team use. The SRM seems to be the computer of choice for many of Pro teams but at around $1000 it’s going to be out of reach most average riders. While power output is always going to be the best measure for training, the next best option is heart rate. 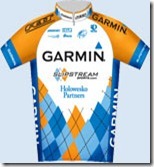 It is for this reason I think the Garmin and Polar units are a better choice for the average rider. Both track heart rate but have the option to measure power but at around $300 represent much better value for money. 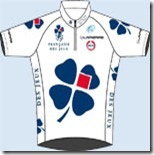 In addition both units are GPS enabled which is always popular with the average rider. 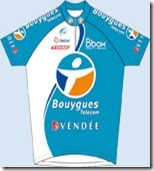 For me, the noticeable absence is Cateye and maybe VDO, who are both well known cycle computer manufacturers and in my opinion much better than BBB computers, but I guess that is sponsorship for you. The BBB unit just looks cheap and is pretty featureless. I guess this is vindicated by the fact that Quickstep maybe sponsored to use BBB but you’ll still see Polar units on many of their bikes.